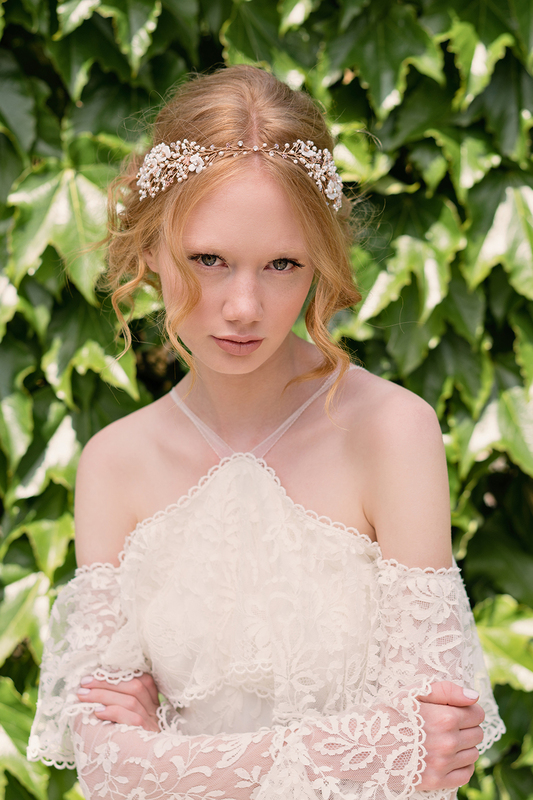 One of the best selling headpiece from our previous collection is reinterpreted here into this beautiful and complete hair accessory. 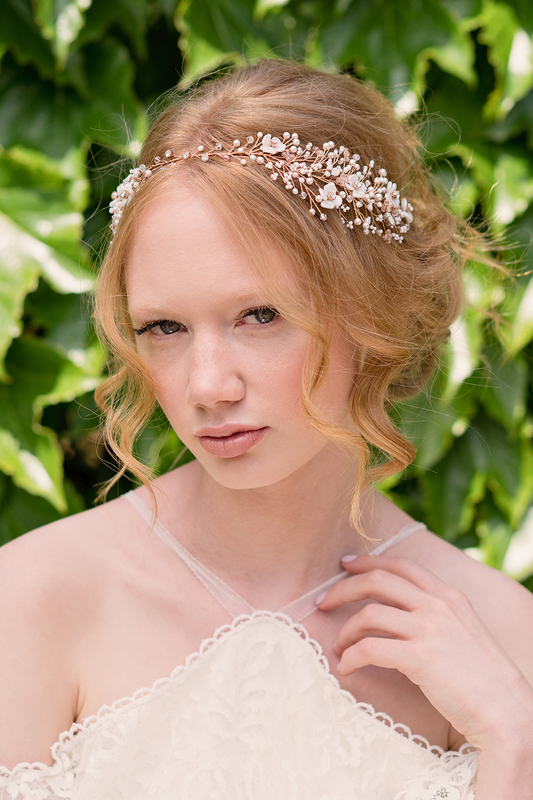 Small glass bead elements and flowers, adorned with Swarovski elements are gathered into this statement headpiece. Presented here on a rose base and white elements, this piece can be also customized with gold or silver base.